As the saying goes "The nose knows". Citrus blends in an air spray give a positive first impression of clean. Air fresheners may contain such chemicals as the organic pesticide, para dichlorobenzene (PDB), which is what is in mothballs. PDB may irritate the respiratory tract. Phthalates, used to carry fragrances and to make plastic products pliable, are questionable because they are potential carcinogens. Our sense of smell leaves permanent memories of which we are consciously unaware. First impressions are of utmost importance, so when someone enters a room we want the atmosphere to smell fresh and clean. But we certainly don't want to be adding to indoor air pollution. Fresh n' Clean Citrus Air Freshening Spray is made up of only a few simple ingredients: Distilled water and essential oils of lavender, lemon, lime, orange, and bergamot. The citrus family of scents are a sunny, uplifting combination adding a freshness to the air not found in typical antiseptic smelling sprays. 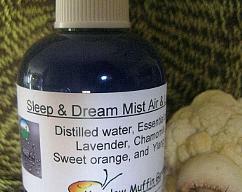 Bergamot and lavender add a floral touch which blends well. When sprayed into the air and combined with oxygen, the germ and odor killing properties of the citrus oils are increased. True therapeutic essential oils are the natural essence of the plants, not a synthetic copy cat. 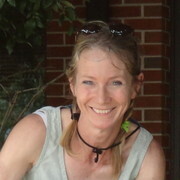 Their life force adds healing power and balance which aids our emotional and physical well-being. Can also be used to freshen linens and upholstery. 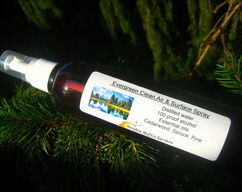 To use air sprays made up of essential oils shake before use to blend as the oils and water may separate. 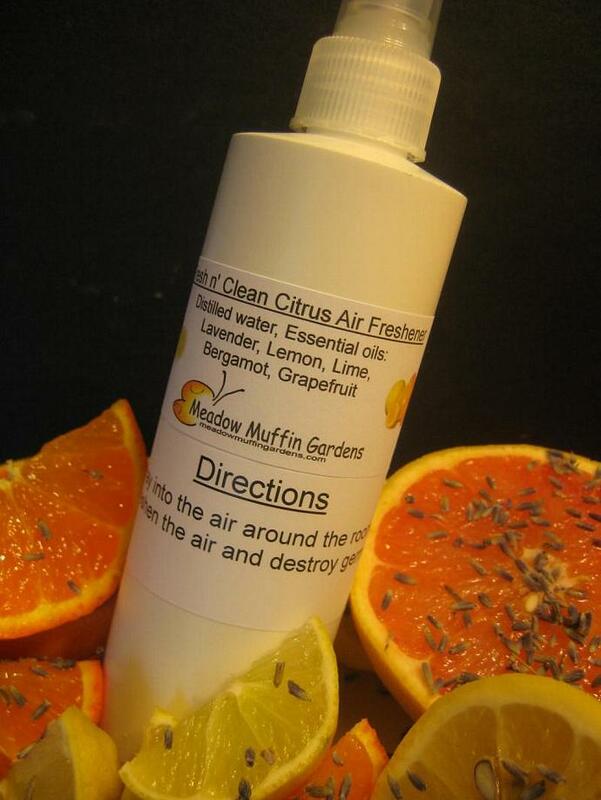 Fresh n' Clean Citrus Air Spray comes in an 8 oz. plastic pump bottle.